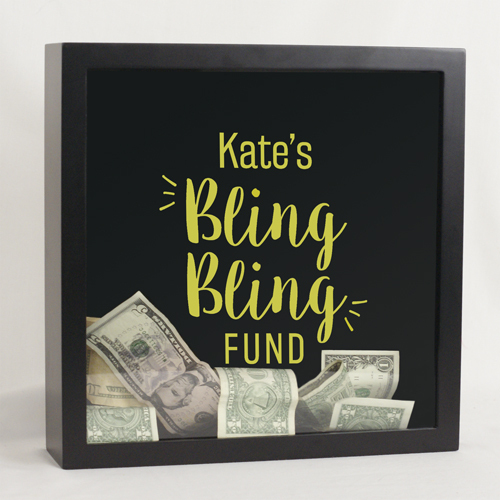 Create a fun Personalized Bling Bling Shadow Box for that lady who needs to fund her Bling Bling habits. 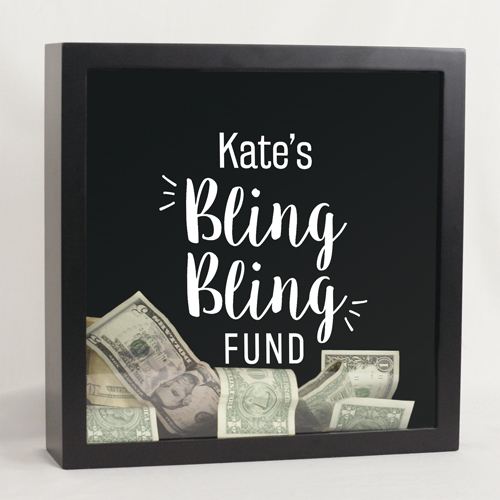 We will custom create this design with any name, in your choice of vinyl color, to make a fun, cool gift any lady will love. Give as Mother's Day Gifts, birthdays, bridal parties and more.